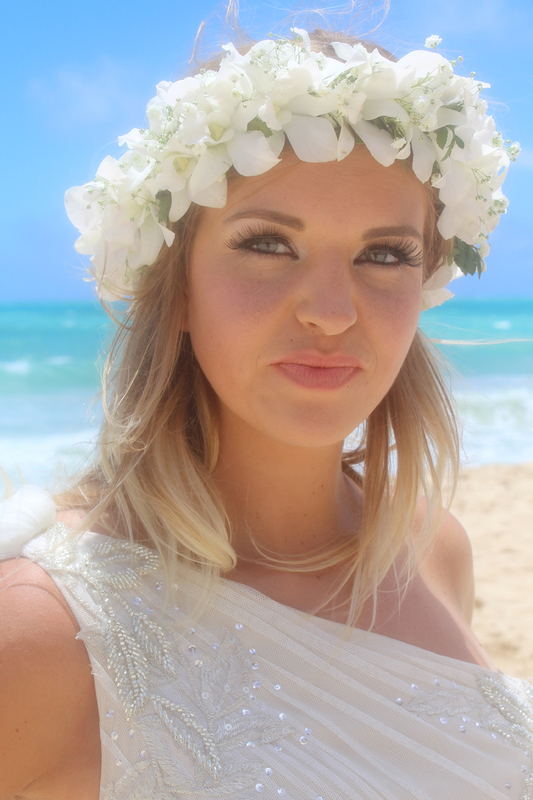 Pretty blonde bride Asia at Waimanalo Beach. This bride is looking so cute in these pictures. Her wedding dress looks very pretty. I too love beachside ceremonies and would love to have an intimated wedding party at some local beachside NYC wedding venues in coming winter season.